The OPPO PM-1 Planar Magnetic headphone offers a different way of thinking about planar magnetic technology. The PM-1 is characterized by its natural, dynamic, and engaging sound quality with an emphasis on comfort and reduced weight. It is the result of many years of research led by a team comprised of passionate audio and acoustics engineers, chemical and materials scientists, and audiophiles. A number of technological breakthroughs have made their way into the PM-1, including the use of a unique 7-layer diaphragm, double-sided spiraling coils, and an FEM-optimized magnet system. A reference class headphone that you can take on the go! Disclaimer: These headphones were sent to me thanks to the Oppo loaner program. They have since been returned and sent to the next reviewer. Want a headphone that sounds excellent, is easy to drive, and can be transported easily and taken on the go? Look no further than the PM-1! Build Quality: Since I am participating in the PM-1 loaner program I should expect the PM-1's to be worn out from dozens of headfiers listening and reviewing them. Upon inspection the unit was obviously worn out; but you know what? It doesn't matter! The fact that unit looks the way it does means it could withstand the test of time and some abuse. A huge plus to Oppo for creating such a durable headphone. The Oppos have a luxurious feel to them. It's like going into a Mercedes S class vehicle. The longer you have them on the more you can appreciate it's beauty. Comfort: Coming from an HD 700 to the PM-1, i noticed that my ears would feel hot after 30 minutes of listening. This meant that I had to take the headphones off and take a break. On one hand it was a bit annoying but on the other hand it prevented me from over listening to them and potentially damaging my ears. It took several days for my ears to adjust, but once they did, I could listen a lot longer with less fatigue. Other than the compliant above, the earphones are very comfortable. When you put them on you feel nice and cozy, it just makes you want to relax and listen to music! Sound: Most of my testing was done using the Chord Mojo but I did test it out with the LG V10 and found that it drives it quite well straight out of the phone. Treble: Extends quite high without getting sibilant. Detail is presented in a natural and life like way without ever causing any fatigue. Compared to the HD 700, the treble is slightly rolled off. Mids: The vocals, instrument separation, and layering are fantastic! You can accurately pinpoint where singers and instruments are located in the sound stage. it's like the musicians are playing all around you. You can perceive this thanks to the PM-1 portrayal of depth. You will know if a drummer is located behind the center musician or next to them. The starting and stopping of notes is very evident as well. All instruments have more body and weight than the HD 700 and thus is often more engaging and believable. The PM-1 reminds me of a miniature version of the LCD-3 and LCD-X in this regard. Bass: Definitely a strong point of the PM-1. Both the bass and sub bass hit hard and extend down low. The bass is tight and engaging. It definitely has the edge over the HD 700 in this department, it makes the HD 700's bass sound 'polite'. Pop and Rap songs sound as equally great as audiophile recordings. This headphone seems to have no problem with any genre of music. Final words: If you have want a headphone that does it all, is easy to drive, scales well with sources of any grade, and most importantly renders music in a believable and lifelike fashion with incredible musicality, than the Oppo PM-1 should be first on your auditioning list! Thanks for review. Like your description of the mids. Looks like I need give it a try. Yeah they are excellent headphones!, you should audition them to see if you like them. Pros - Build like a tank, sound quality, comfort, price. All instruments come to live with pm1, crystal clear and smooth at the same time. Pm1 made my Sennheiser hd650 and Grado reference 1 sound harsh and incomplete. I had some time to listen to hd800 and Audeze lcd2 but both failed to pleased my ears. To me the pm1 is a bargain in headphile world. The sound, the build quality and the comfort is second to none in my opinion. If pm1 was produced by a big name headphone company, they could easily get away with doubling the price and still sell it like a hot cake. Graham slee novo with power supply. Other equip. B&W 805 diamond, Vincent 238mk, dual Velodyne spl 1000 ultra. Nice review Sam 88. Clear & concise. I recently participated in the OPPO PM-1 loaner program -- many thanks to Chris and the folks at OPPO for providing this wonderful opportunity! I was able to demo the PM-1 headphones at home and at work for the past week, and it was a great experience. 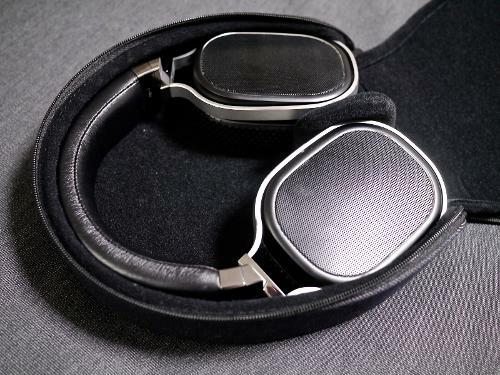 I'll forego a long introduction to these headphones -- if you're reading this review, you probably already know that the PM-1 is OPPO's current flagship headphone and represents their unique take on planar magnetic technology in an open-back design. The PM-1 departs from the other planar magnetics on the market in many ways, and I'll do my best to explore those things that make the PM-1 a unique product in this review. Removing the PM-1 from their packaging, the first thing that strikes you is the outstanding level of build quality. It's immediately obvious that these headphones are built to the highest standards, using premium leather, metal, and plastic materials. The headband is wrapped in lambskin leather and is nicely padded on the underside. The adjuster mechanisms and ear cup swivels are made from a polished metal, and the ear cup gimbals are of brushed aluminum. The ear cups themselves are crafted from high-quality plastics with polished metal trim rings and metal screens on the back. 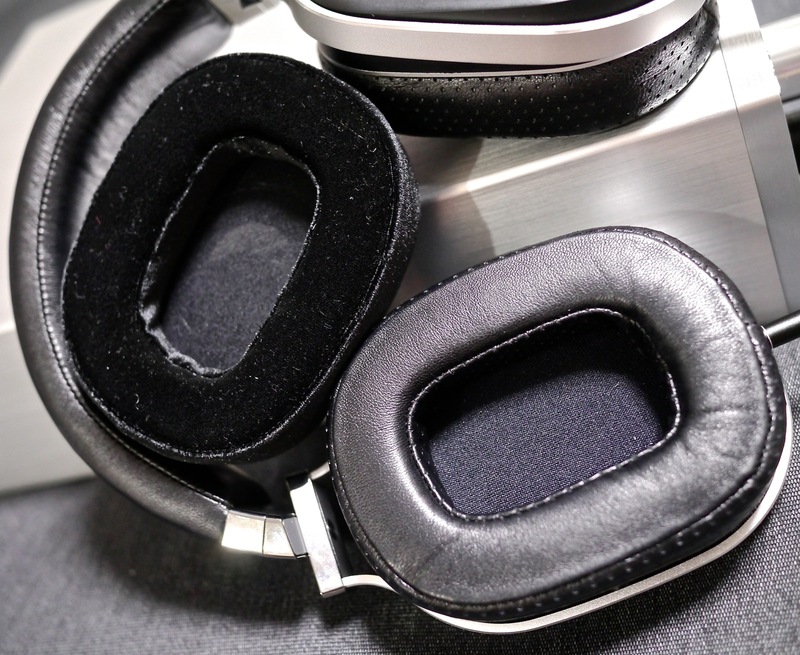 The ear pads are either made from the same lambskin leather as the headband, or from a soft, microfiber velour. To say that these headphones set the standards for build quality would be an understatement -- they are head and shoulders above most other headphones I have used. The only headphones that I can think of that may be able to compete in build quality are the Sony MDR-R10 and the Stax SR-009, both of which are many times the price of the PM-1. Other manufacturers could certainly learn a thing or two from OPPO's example. The design of the PM-1 is very well-conceived, both aesthetically and functionally. 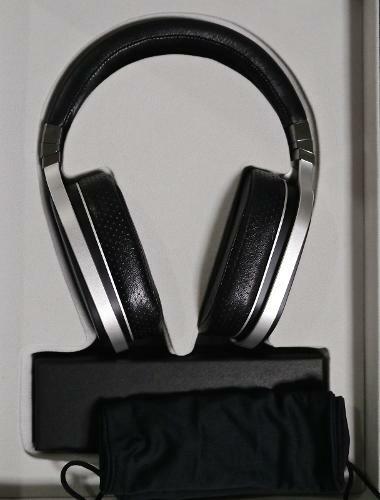 The headphones have a simple understated and elegant look, and they sit unobtrusively on the head, especially when compared to headphones with suspension-type headbands such as the newer HiFiMANs or AKGs. The adjuster mechanisms operate smoothly and adjust with a reassuringly tactile click. The swivels and gimbal joints rotate smoothly and silently without any slack or slop. The detachable cable is two-sided and plugs into the headphones via a pair of mono 2.5mm plugs. I usually find the 2.5mm plugs to be an inferior option when compared to the Sennheiser HD800 connectors, which are the gold standard in my opinion, but the PM-1's connectors are particularly well-implemented. They seat into the ear cups firmly, and there is a small rubber boot at the base of the plug that fits into a recess in the ear cups to provide some additional insertion friction and strain relief. Also very much worthy of note is the attachment system for the ear pads. The ear pads have four small posts on their base, and these posts slide securely into four rubber grommets in the ear cup. This design, very similar to the way in which many speaker grilles are attached to speakers, is by far the best ear pad attachment system I have ever used. Ear pad changes are extremely easy and can be done in a matter of seconds. Bravo! The PM-1 is an open-back headphone, and it sounds like an open-back headphone, but interestingly it doesn't leak very much sound to the surrounding environment. I was able to listen to the PM-1 at significantly louder volumes than my K701 at work without disturbing my coworkers. It's a very neat trick that I definitely appreciated. All considered, the PM-1 gets perfect marks from me for design and build quality. The care that was taken in creating these headphones is self-evident in every facet of their look and function. The PM-1 comes with a veritable plethora of accessories. For carrying and storage, there is a beautiful wooden box (though for ease of shipping, this was not included in the loaner program, so I did not get a chance to see it for myself), as well as a zippered selvedge denim carrying case. 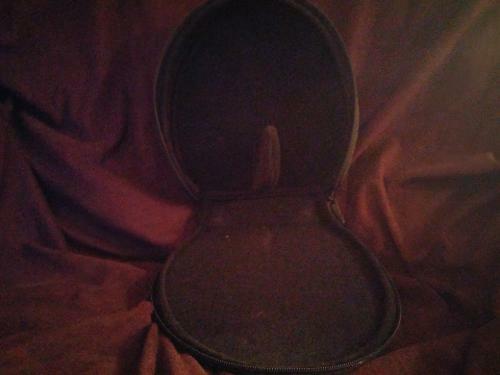 The denim carrying case is lined with a soft velour and the headphones fit snugly inside. There is even a small velour flap that sits in between the two ear cups to prevent the aluminum gimbals from scratching against each other during transit -- smart! The only minor downside to the denim case is that the cable must be detached from the headphones for them to fit. There are two cables included in the package as well -- a three-meter, fabric jacketed cable intended for home use, and a one-meter small rubbery cable for portable use. Like the headphones, the larger cable is built very nicely, with custom metal plugs on both ends and a matching metal splitter at the Y. The smaller cable, though perfectly functional, falls short of all the other accessories in terms of build quality -- it's a little bit thin and it tends to suffer from a memory effect, so when you coil the cable to fit it in the case, it retains some of that coiled shape during use. Just a minor annoyance. Finally, the PM-1 is packaged with three sets of ear pads: the original lambskin leather pads, alternate lambskin leather pads, and velour pads. All of these pads alter the sound of the headphones, and with the super-easy-to-use attachment system, it is a simple matter to swap pads to find the pair that best suits your sonic preferences (more on this below). The pads are all very well-made, with nice-feeling leather or velour covering a compliant, springy latex foam cushion sitting atop a solid plastic frame. Compared to many competitors, the PM-1 is very well-accessorized and comes with almost everything you could possibly need. The only other thing I can think of that could be included is a balanced cable, but this would certainly raise the price unnecessarily for those users who don't need it. For this reason, OPPO offers a couple of different balanced cable options that can be purchased separately. Once again, my hat is off to OPPO! I was originally concerned about comfort with the PM-1, but I am happy to report that these concerns turned out to be mostly non-factors. The rectangular opening of the ear pads is somewhat small, but my medium-large ears fit inside without any trouble, albeit snugly. My ears definitely touched the inner surfaces of the ear pads in several places; I know this is a deal-breaker for some, so those people will probably want to pass on the PM-1. The good news is that the pads didn't put any undue pressure on my ears where they made contact, and this, combined with the use of nice, touch-friendly materials in the pads, allowed me to wear the PM-1 for a solid four hours before the contact became mildly irritating. To give you a reference point for comparison, I can't tolerate wearing on-ear headphones for more than a few minutes, so the fact that I could comfortably wear the OPPOs for several hours speaks to their overall good comfort. All of the ear pads are very comfortable -- the lambskin leather and microfiber velour both feel very nice against the head. They get warm after about 30 minutes of use, but at that point they sort of plateau and don't get hot, so I never had any problem with the thermal aspects. The latex cushion material used in the ear pads is a very nice choice, and I found it more comfortable than most other conventional or memory foam pads. Also, I've been using the same latex foam rubber pillow on my bed for years and years -- so if that's anything to judge by, I would say the padding in the PM-1's ear pads should hold up for a very long time. Being a planar magnetic headphone, and in particular one that is built from such solid, high-quality materials, the PM-1 is a little heavier than most other headphones on the market (although still lighter than many other planar magnetic competitors). Fortunately, the weight never bothered me at all. The underside of the leather headband is very nicely padded and it distributes the weight evenly across the head. I never experienced any "hot spots" from excessive pressure on one particular area. Clamping force is also dialed in well -- it clamps just tight enough to sit securely on the head and not a newton more. The HD800 still sets the standard in headphone comfort for me, but the PM-1 is no slouch either. If I were to give the HD800 a perfect 10 for comfort, the PM-1 would come in at a solid 8. Just like comfort, sonic impressions are always highly personal, so take anything I write here with a grain of salt. For reference, I listened to the PM-1 on four different systems for a total of probably about 50 hours. Two were my home systems, consisting of a NAD M51 DAC feeding either a Schiit Asgard 2 or Sennheiser HDVA600 amplifier. The third was directly from my iPhone 4, and the fourth was directly from the headphone output of my HP laptop at work. The PM-1 is a fairly sensitive headphone, and none of these systems had any trouble driving the PM-1 to earsplitting volume. Compared to many other headphones, I found the PM-1 to be relatively agnostic of amplification. They definitely sounded a little cleaner and more dynamic from my Asgard 2 or HDVA600, but the differences weren't that large. Some people will see this as a positive, while others will see it as a negative. Those in the positive camp will appreciate that it doesn't take much to get these headphones sounding near their best, and that the headphones deliver a consistent sound from almost any amplification. Those in the negative camp may be disappointed that the PM-1 doesn't scale up much with better, more expensive amplifiers. Personally I fall into the former camp -- why would I not be happy that the headphones can sound good out of almost anything? I was particularly interested to see how the sound of the PM-1 would change between my Asgard 2 and HDVA600. 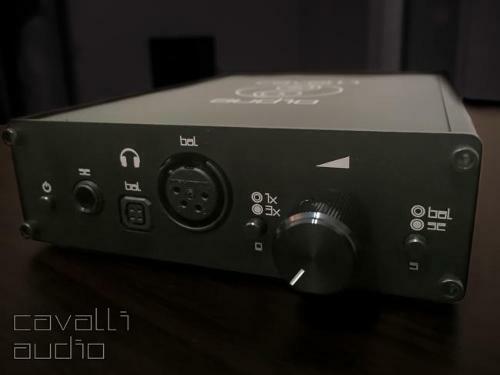 The Asgard 2 has a relatively low output impedance (less than two ohms), compared to the HDVA600 which has a higher output impedance (43 ohms) that is tuned specifically with high-impedance headphones in mind. The PM-1 has a low nominal impedance of 32 ohms, so conventional wisdom would suggest that the Asgard 2 would be the better choice. However, I found the PM-1 to sound nearly identical from both amps. I suspect that this is due to the fact that the PM-1 is a planar magnetic headphone, so its impedance doesn't change very much as a function of frequency. This differs from dynamic headphones, which can have wild swings in the impedance curve due to electromechanical driver resonances and inductance in the voice coil. So enough with the amplification discussion, how does the PM-1 actually sound? Very good! In a sentence, I would describe the PM-1 as a warm headphone with a forward midrange and a non-fatiguing treble response, yet still clean, clear, and open. Overall, it's a very appealing sound signature that provides a nice counterpoint to the traditional, analytical "hi-fi" sound that you get with Sennheisers, Beyerdynamics, and AKGs. The PM-1's bass is very good and characteristically similar to other planar magnetics I've heard from Audeze and HiFiMAN. It is tight and well-controlled, and it extends very deep. However, the tuning is somewhat different when compared to many dynamic headphones. I've found that most dynamic headphones tend to have a bit more emphasis on the mid-bass compared to the sub-bass, and this adds the impression of slightly more punch and impact. On the other hand, the PM-1, like most planar magnetic designs, has a relatively flat bass response with the mid-bass and sub-bass coming in equal quantities. To those who are accustomed to dynamic headphone bass, the PM-1 can sound like it's lacking a little bit of impact at times, but it makes up for this by giving you more of those deepest frequencies. I wouldn't say either presentation is right or wrong, but rather just a matter of preference. In terms of bass quantity, I felt that the PM-1 was just about right, providing a solid foundation for the other frequencies to build upon. The midrange is definitely where the PM-1 excels. The PM-1 puts the mids forward in the overall presentation, and they are velvety smooth and alluring. The mid-bass transitions seamlessly into the mids, and the lower and upper mids are present in roughly equal quantity without any abnormal peaks or troughs in between. As a result, all vocals sound exceptional on the PM-1 -- the lower mids lend body and texture to male vocals, while the upper mids deliver the clarity and realism needed for female vocals. There is a good amount of detail present in the mids, though they may lack the last ounce of detail retrieval that some other flagship headphones can produce. The midrange presentation of the PM-1 reminded me a bit of the venerable Sony R10, though I think the Sonys still retain their crown as the king of mids. From other reviews, I was initially worried that I might find the PM-1's treble too subdued and dark. I had this problem with the Audeze LCD-2 (1st revision), which sounded very dead and claustrophobic to me with their weak treble response. I'm happy to report that this was not at all a problem for me with the PM-1. I found that the PM-1 lacks only in treble extension, not in treble quantity. 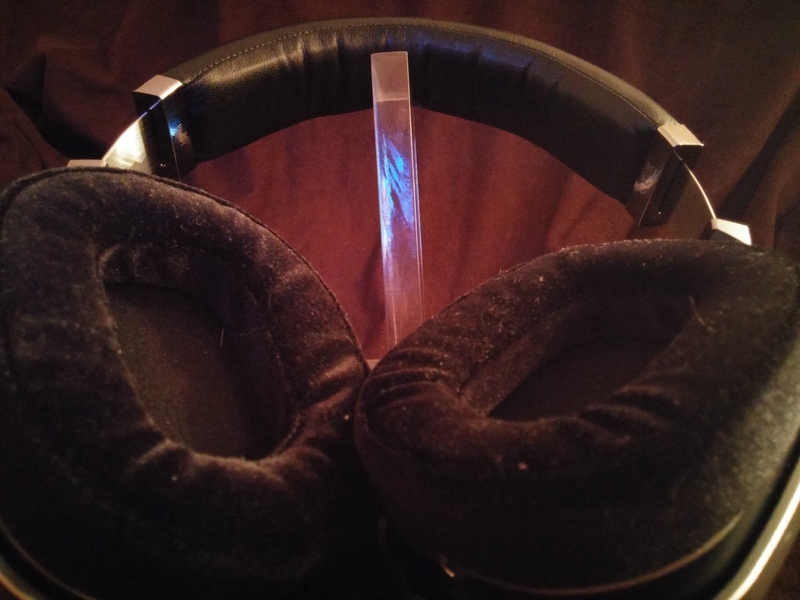 The treble response is very clean and well-behaved, without any of the peaks that make many headphones fatiguing. It provides a nice sense clarity and openness to the overall sound, though it doesn't quite have enough extension to give that last measure of air in the highest registers. I quite liked the spatial characteristics of the PM-1's sound. Imaging was very nice, though not quite as good as the best dynamic headphones like the HD800. For me the imaging was better than any other planar magnetic headphone I've heard -- maybe due to the tangerine-like waveguide in front of the driver? The soundstage is modest in size but nicely spherical in shape, with roughly equal height, width, and depth. I liked the soundstage size; it provided a more intimate presentation that can be very appealing for certain types of music. One of my favorite things about the PM-1 is how it pulled off a sense of decay -- you can clearly follow sounds as they reverberate and trail off into the blackness of the soundstage. I think this sense of decay comes from the PM-1's ability to reproduce the full dynamic range of music from the loudest to the softest sounds. I found the PM-1 to be versatile, sounding good with a wide variety of genres. The forward mids worked very well for rock, though they could occasionally sound just a bit congested with metal. The clean bass and treble provided for a very good listening experience with electronic music. As for acoustic music, the PM-1 generally acquits itself very well. Plucked strings sound excellent, from bass to guitar, banjo to mandolin; as a result, folk and bluegrass was quite appealing on the PM-1. Bowed strings were also good, but perhaps not up to the level of realism provided by the HD800. Interestingly, the PM-1 was also outstanding for movies, TV shows, or other spoken material -- the forward mids make speech very intelligible. 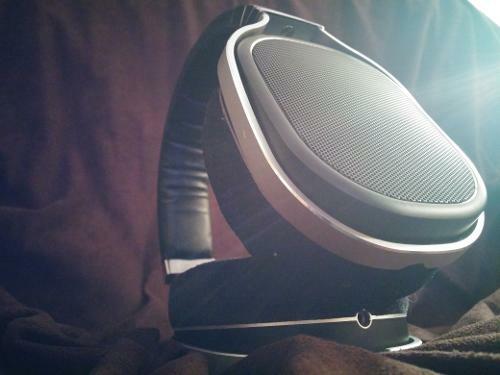 As I had mentioned previously, the PM-1 comes with three sets of ear pads, each of which alters the sound signature. The alternate lambskin leather pads were my clear favorites, followed by the original leather pads, with the velour pads bringing up the rear. The sonic impressions provided above were for the alternate leather pads. Comparatively, the original leather pads sound more closed-in, with somewhat less treble and a bit more bass. The velour pads move the headphones even further in that direction, boosting the bass and shrinking the soundstage even more. I wouldn't call the PM-1 a neutral headphone, but the alternate leather pads were definitely the closest to neutral of the three. Overall, I very much liked the PM-1. The design and build quality are top-notch. 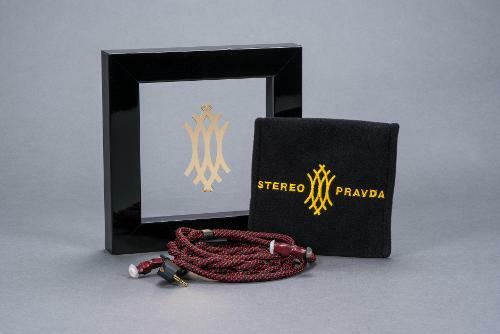 It offers a very appealing and unique sound signature compared to most other high-end headphones, though it may fall just a hair short in terms of ultimate resolution and technical ability. I didn't really find the PM-1 to be neutral, so I'm not sure I would choose it as my only headphone, but I think it would make an excellent complement to a more neutral flagship like the HD800(S) or T1.2. In terms of sound quality, I personally think the PM-1 may be just a little bit pricey at the full retail price of $1099; however, the build quality and accessories certainly go a long way in justifying the price tag. I think the PM-2 is probably a more compelling bargain, offering the same sound quality with fewer accessories and slightly less-premium materials at the lower price of $699. Again, I'd like to thank OPPO for the chance to demo the PM-1, and I may be adding a PM-2 to my collection in the not-too-distant future! fluidz, alegar, necip494 and 3 others like this. Fantastic review - very accurate. I'm a big fan of the PM-1 and PM-2. This review is spot on! The headphone up for review today is the OPPO PM-1. This headphone has not been as widely available in the United States as many other headphones, so the kind folks at OPPO have afforded me and several others the opportunity to listen to one of their headphones for a week. 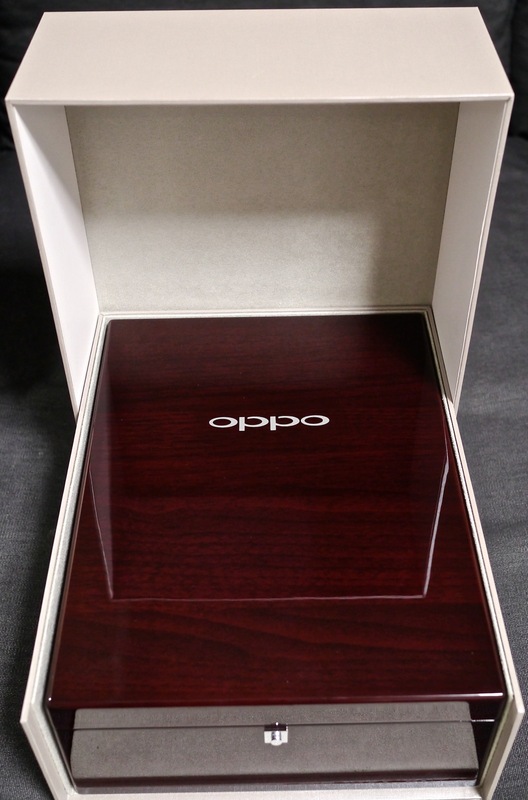 My thanks to OPPO for trusting me with their flagship offering! To date, my experience with planar magnetic headphones has been shaped by the likes of the Audeze and Hifiman offerings, and also by my personal favorite, the ZMF Omni. These headphones are generally larger and/or heavier and the designs typically do not lend themselves to being used on the go. 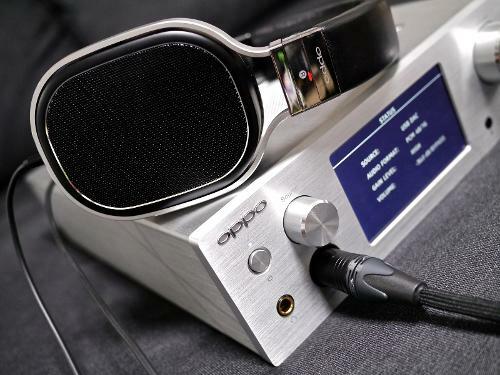 OPPO severely deviates from this trend by making a line of planar magnetic headphones that are modest in size, lightweight, comfortable, sturdy, and perhaps most importantly, easy to drive. When it come to comfort, build quality, and portability, the PM-1 ranks among the best headphones I've used. Even though the PM-2 allegedly offers near-identical sound quality, I wouldn't fault someone for choosing to pay the extra money for the luxurious look and feel of the PM-1. To be completely clear, I really like the look, feel, and comfort of the PM-1. I also dig the denim case that was included. The 1/4” terminated cable is decent—well built, and plenty long enough for most. Aesthetically, it is alright. It's a somewhat thick cable that essentially looks like it is sheathed in black paracord . The portable 1/8” terminated cable is a little more pedestrian looking and feeling—thin, light, and rubbery. My only regret right now is that I don't have as many headphones on hand to compare to the PM-1 as I would like, but still I have a couple points of comparison. Feeding the PM-1 with FLAC rips from JRMC and feeding the PM-1 directly through my Galaxy Note 5 work pretty much equally well. These headphones are easy to drive and sound nice even without a dedicated amp.The first thing I notice about them is that they have a nice natural presentation. I'd characterize the overall tonality to being closer to Hifiman offerings than Audeze ones. That is to say, these are titled a little toward lower treble/upper midrange and yes there is a nice, tight bit of bass, however, the sound is definitely a departure from the thicker, meatier sound of the LCD line and my ZMF Omni. To be clear, though, I wouldn't say that the PM-1 is a sparkly sounding headphone. They are more what I would consider neutral, tonally, and perhaps slightly polite or even rolled off treble.As far as overall frequency response is concerned, what I hear is a headphone that should cater well to people who enjoy crisp, forward vocals and tight bass that digs pretty deep without overwhelming the rest of the spectrum. One of the more clear limitations of the PM-1 is that it has a relatively small soundstage and so-so imaging. That said, these are probably the best portable-feasible headphones I've heard. PM-1 is more detailed, more neutral and has decent bass presence without the boominess present in the Momentum. The PM-1 also has superior comfort and build quality (although the Momentum isn't too shabby in this regard). PM-1 is cleaner and clearer sounding and without the midbass bleed present in the Nighthawk. These are very different sounding headphones from the nighthawk, which has a thicker and “bigger” sound. If I had to guess, I think more people will enjoy the presentation of the PM-1, but the Nighthawk does have a certain allure to it. The Omni is currently my favorite headphone, and I would not necessarily consider the PM-1 a direct competitor even though they are planars in the same price range. The Omni is more suitable as a full sized headphone for home use and has much more potential sound-wise in it than the PM-1. The Omni has a larger soundstage, better instrument separation, better bass, more involving midrange, and smoother treble. The PM-1 is more of an ultra-premium headphone for portable use and less a headphone that I'd use as a permanent fixture in my home rig. Ah, I wish I still had the HP50 on hand to do an in-depth comparison. 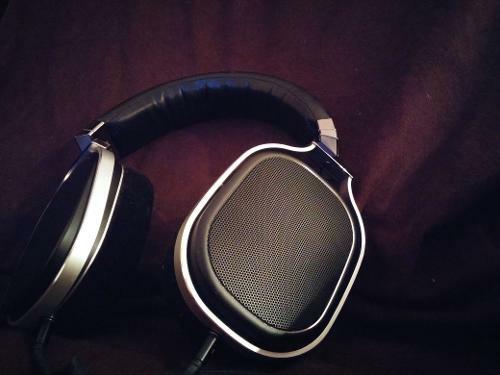 The PM-1 seems to me to be most similar to the HP50 compared to the other headphones I've mentioned. I know that might sound off considering the price difference between these models, but I mean that they are similar in the sense that they are both neutral-tuned headphones directed at the portable headphone market. The PM-1 is more resolving to my ears and also has less of a mid bass emphasis with a little more sub-bass reach. They are also light-years apart when it comes to comfort and build quality (the PM-1 winning this easily, that is). The PM-1 is a rock solid contender in the portable/transportable headphone market. Gorgeous design and build quality coupled with top notch comfort and very nice sound. If the price of the PM-1 is off-putting, check out the PM-2 as they are near-identical sound-wise but using less-premium build materials. If you are looking for a portable neutral headphone that isn't overly bright or aggressive, the PM-1 might be right in your wheelhouse. The PM-1 is a headphone that when you physically touch you know how well-made it is. Every collection deserves a PM-1. Absolutely amazing headphone that set a new standard for what a headphone can do. Pros - Built extravagantly well, wondrously comfortable, absolutely breathtaking sound, plays just as good from a mobile as it does an amp. Cons - Soundstage may not be as vast as what one would expect from an "open" headphone. Firstly I've got to give a massive thank you to @Jiffy Squid for accepting me into the Loaner Program for @OPPO , for if it wasn't for him it's very unlikely I'd have had the honor and pleasure of listening and reviewing these quite wonderful works of art and also my new standard for audio. Also as mentioned above this was a loaner/review unit so my experience will differ slightly from a newly purchased unit, namely in the unboxing experience. You'll notice my comparing them to the Bowers & Wilkins; The reasons for such is that those were previously my standard on what I expect from a headphone and audio company. This is probably going to be one of my shortest reviews because these are truly a new standard for what to expect from an audio company, and only having the ability to rate it a 5 is rather shortcoming in my opinion. The opening experience on these I can't give any sort of impressions on because as a loaner/review unit I didn't receive any of the box/packaging other than the headphones, cables, case and extra pads. Now amongst those I was incredibly impressed by the sheer quality of everything minus the 3.5mm cable, I felt it was the last thing they worked on so for a lack of better terms, threw something together. The only pair of headphones I've ever come across that are even close to being as well built as these (other than their own model line) are the Bowers & Wilkins. The frame is completely aluminum with lambskin leather being used as padding. This theme continues all the way down to the drive housing which is the only plastic I find on these and even such is very high quality. The pads are not only made using the finest of materials, you actually get 3 different ones to choose from. A large lambskin leather set, a small lambskin leather set, and finally my personal favorite, the microfiber/velour set. These are easily interchangeable by a simple magnetic lock mechanism so no worries about being unable to find one to your liking. The 1/4" cable is what I expect from an elite class product such as this. It's beautifully braided from the jack up to about 8" from the headphone connectors which does an amazing job at shielding the sound from outside interference including brushes against clothes etc... The other cable is not as well built however. The mobile 3.5mm cable to me feels like it was just something thrown together at the end of the production line for in kinks, has minimal, if any, shielding and does receive some feedback when brushed against something. The comfort on these is something that yet again, I've no complaints on. They fit oh so snuggly on ones head just tight enough to feel like a nice welcoming hug. The lambskin leather headband sits softly on your head and doesn't bush ones hair back which quickly leads to discomfort, in fact I've not had to even so much as adjust them even after several hours of listening to them. 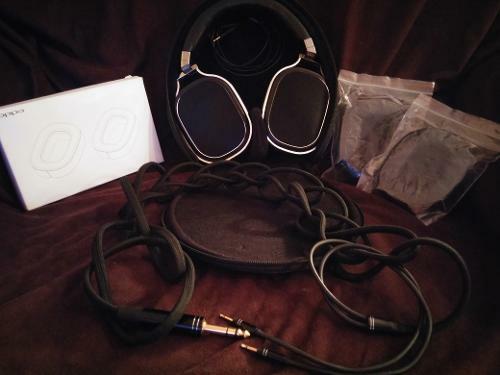 These take comfort a step that no other brand I've tried does and includes 3 pairs of ear pads (rather this was a loaner program exclusive or actually does come with a purchased unit I'm unsure) so no matter your cup of tea, they have you covered. The one that worked by far best for my was the microfiber/velour pads that are very similar to what's found on the Beyerdynamic DT880's whereas the other 2 are a small and large lambskin leather which is nice but nowhere near what the fiber pad does. The pads also do a great job at keeping the ears away from the padding which was a big downfall for me on the PM-3 because that agitated the fart outta me. But these have no such issue. Super long 4+ hour listening sprees needn't fear for these beauties all but massage your ears. The sound on these, oh how I can preach about the sound. The first thing you'll notice is that if you plug from your amp. to your phone you wont notice any loss of quality of if such minimal. This I'm honestly unsure of rather it's a good thing or not that it didn't scale, for better or worse, at all when I went from my phone to my tube amp. or visa versa. So unlike my PM-3 review I will refrain from separating a before and after amplification section and simply talk about its sound. Which before I get into the individuality of it, was extremely neutral, yet still very inviting. The only downside I've found and honestly I really had to look hard to find it so I could put something in the con space, but these don't sound as spacious or "airy" as most open back headphones I've tried have. But if you see them as a semi open back, which is what I personally believe they should be, that issue goes away because they sound similar to other semi opens. The highs on these are extremely clean and very accurate with what I'm hearing vs what I know is real. The only thing I sometimes notice is when it goes from treble to the upper treble range, I guess the "audiophile" term is rolls. It just sounds ever so slightly off, not better or worse, just off. The vocals on these a point blank neutral, they're detailed, unbiased, and wondrously clean. I'm trying to think of more to say but I can't really babble on about what's already darned near perfect. The bass on these are stunning, throughout the range, stunning. I was afraid when I got these they'd be rather bass light like the PM-3 but oh no, they're wonderful. They have the speed I've come to expect from a planar but retain the bass resonance or hit of a dynamic driver. The upper bass seamlessly flown into the mid section but yet oh how you'll get that sub bass feels when a hard rock song comes up in rotation. To sum these masterpieces up, they're so darned amazing I never would've thought that my Bowers & Wilkins would ever be blown away. Yes there's a big price difference but I've heard others that are yes better sure, but don't blow them away for what it is that I personally look for in audio. These are also a pair of cans that can somewhat play nicely with lower quality audio files. Now they shine with top tier but if you're watching YouTube music video, unless it's very poorly encoded, your experience should still be quite enjoyable.So for those of you looking for a wonderful elite class tier of headphone that's extremely well built, very neutral and accurate, and benchmark setting comfort, or in other words a very close to perfect headphone, then these are definitely for you, if you can afford them. Till next time my friends, also check out my unboxing video here, and my video review here! Carlsan, TheMiddleSky, lenroot77 and 2 others like this. Appreciate the input and kind words guys thank you. I agree with you. In the last six months I've been through everything from Hifiman HE500, through Audeze LCD2, LCD3 and LCD-XC, and on through Beyer T5P, Ultrasone Edition 8 and these are without doubt the best headphones I have heard by far (yes, I know it's sacrilege, but even against the LCD3, which I was able to compare directly for several weeks). In terms of cohesiveness, detail, warmth, engagement and just out and out enjoyment, there's nothing to touch them. And, as a bonus, they're beautifully built and easily transportable. A masterpiece. I've owned them for 2+ years. Much of what you say is true however, I would NOT describe these phones as having superb lower or even mid-bass! 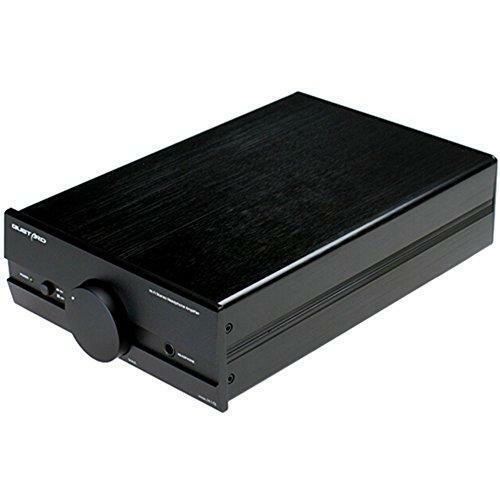 I'm running mine through an OPPO BDP-105 Darbee edition player (w/integral hi-quality SABRE32 dac and amp) and I have to listen hard for any bass extension (luckily, I;m not a bass head). Nonetheless, being an ex-musician an living in NYC where live music performances abound, I appreciate the enjoyability of their mid range reproduction. The velour pads are the best to use if you want a full spectrum listen. Bothe the lambskins are either too bright or too muddy, so the velour IS the only way to go. I paid full boat retail for these from OPPO. I didn't get them on loan or at a discount so I consider them fairly. I do not exaggerate due to a conflict of interest. They are marvelously well built but heavy (I would have substituted magnesium or titanium for the frame, instead of aluminum) and I find them quite a tight fit all around. I have a small melon and small ears but mine ears barely fit in them. Not to be misleading, they fit nicely and are still a bit snug (clamping pressure wise) but once you've adjusted to your head a 2-3 hour session is possible w/o having to take a break form them. They do sound marvelous. They are warm, you can listen to any genre except if rap-a-dap, ding-dong is your thang,... and they will serve you especially well for intimate jazz, female or male vocals and even rock. My primary listening pleasure is electric blues, blues-rock, jazz and classical. my primary reason for writing this: very pricey but maybe worth it in the long run however, under NO circumstances would one consider these as superb bass or even mid-bass reproducers! Mid-range is their milieu, if you will, and this they do this, ohh so beautifully! They are made well enough that I will probably be taking the dirt nap for many years (given you don't abuse expensive equipment), before they'll stop being useful. Ciao brother & sisters! I got to spend some time with these as part of the PM-1 loaner program from Oppo. Awesome company here to lend these out to us at just the cost of shipping to the next person - much appreciated! To preface this - I can't review this from an angle on how well these scale with the right equipment. The DAC I used was a Schiit Modi 1. The Amps I used were a Schiit Magni 1 and an Objective2 -- I noticed no audible difference between the sound signature on the two amps that I normally don't notice. From the very soft and comfortable, leather-wrapped headband, to the very sturdy metal yoke and gimbals, to the plush (and plentiful) leather and velour earpads, everything on this headphone spares no expense to be as comfortable and sturdy as possible. 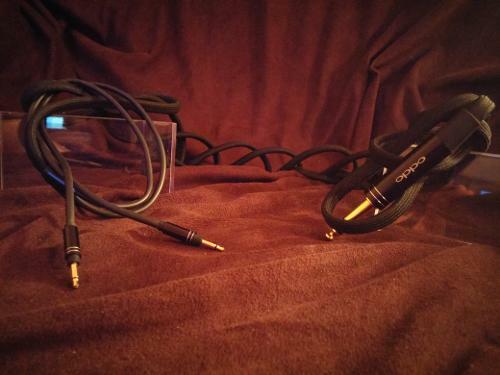 The included long cable is also very nicely sheathed in cloth and is terminated in two 3.5mm (or 2.5mm - hard to recall) mono connectors on the headphone end, a very sturdy 1/4'' connector on the other end. There is also an included mobile cable which seems to be the only cheap-ish looking standout in the package. It's passable but nothing to get excited over. It's hard to say how much of the build quality is present in the steep price, but these are far beyond the $300 price range that I've tried. Based on the build quality alone, we're looking at a strong contender for most comfortable headphone. With the metal construction and planar magnetic drivers, this is a heavy one indeed - definitely the heaviest headphone I've had on my head. Thankfully though, this does not detract from the comfort. You definitely will know you have a headphone on - it doesn't just disappear like some of the very light and comfortable sets. But overall, this is one you should be able to wear for extended periods. The leather ear pads sweat very little and the headband never really digs into the top of your head - the weight seems very nicely distributed for a single band construction. The sound signature here is pleasant and very easy to listen to over long sessions. I never felt fatigue from any untamed highs or excited mid-range. Most of the response is laid back and even. I did feel that the treble was a little forward, but the vocals had a very organic feeling to them - clear, present, picking up some very small detail. The bass was well extended and polite - the impact was a little light (these aren't basshead cans) but it reached low and was punchy when it needed to be, without even a hint of mid-bass bloat. For open-back headphones they lacked some treble air that you might expect. They didn't sound as near and closed in as most closed back headphones but they definitely aren't going to impress in regards to sound stage. The mids were well represented and gave a very lush and musical background to the sound - very apparent when coming from a V-shaped sound signature. When you take the price out of the picture and look at the whole of what you have, these are an excellent set of headphones. If you're looking for the ultimate experience in sound stage and airiness in an open-back set of headphones, you'd most likely be disappointed here. But if you're looking for something easy to listen to, with a polite (not overdone) bass, great mids, and very rich and realistic vocals, this sound signature will impress. When I take price into account, I have to say that I might expect just a bit more from a $1k headphone. It's hard to make this argument however just looking at the build quality alone. If I was into the summit-fi area, I would see this as an 'easy listening' headphone that may be unmatched in what it does in that price range. My absolute favorite set of headphones for quite some time now, and my go-to for comparisons is the NAD Viso HP50. I was pleasantly surprised to find that the Viso stood very well against the PM-1. The bass on the Viso is a little more pronounced (impact) in some cases, but I did not find that this made the bass any less realistic or bloated. It reached down just as low as the PM-1 to my ears and seemed to be just as quick on the response. The difference was mostly in polite vs slightly less polite (or less aggressive vs more aggressive). I felt there were some cases where I could hear a difference in that the PM-1 was a little quicker but I could never nail it down - in most listening cases, it appears to be on equal footing. The mids were really the same to me - the Viso does mids very well and accurate, so I wasn't too surprised here. The treble on the Viso was a bit less forward and I did detect that it was slightly (very slightly) less realistic than the PM-1. The PM-1 represented vocals just a tad more realistically wherein I felt the singer was right there in front of me versus the NAD where it was more as if they were also there but further away (maybe like front row vs 4th row?). The sound stage on both was about the same - I'd have expected an open back like the PM-1 to have it beat here, but as I stated in the review earlier, it sounds a little more closed than other open-backs. The Viso has always represented sound stage very well for a closed-back design (strange knowing how small the ear pads and cups are). Overall, the most obvious difference I noticed between the two was the bass impact on the Viso was better and the vocals and treble were a bit more natural and realistic on the PM-1. If both were equal in price, I'd have to give it to the PM-1 here as bass impact is not that crucial to me - I'd rather have it accurately represented and well extended (which the Viso and PM-1 both do). The difference in the upper range and vocals there was not night and day, but it was enough for me to hear and enjoy the improvement. I was part of the Canadian leg of the Oppo PM-1 loaner program. For reference, my primary rig is my modded HE-6 (significantly “darker” than stock): regrilled, removed rear and front foams, J$ leather pads with additional front damping, modified “fuzzor”. Amping is from a pair of Nuforce HA-200 monoblocks. 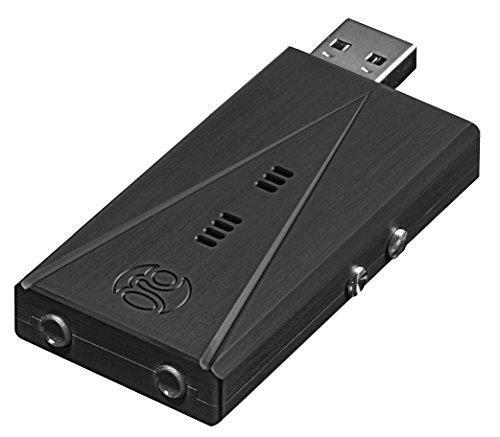 My dac is an Echo2usb. Most of the review will be point-form-ish because who wants to read a long blather of purple prose? I also haven't read any other existing reviews or impressions, so I'm coming at it rather blank slate. First impressions were that the sound was fairly clean, with good staging, though a bit dark sounding. Second impressions were that it was not quite as clean or distinct as the HE-6, the staging is cozier, still dark-ish but pleasant nonetheless for a low fatigue session. - Everyone else go home. Seriously, the Oppo is lightweight and actually looks like a polished product, unlike the others that kinda look like they were cooked up in a high school shops class because they spent their R&D on drivers then panicked and got their kid to make a headband. - The HE family is known for being a bit bright up top, especially in comparison to the PM-1 which I would characterize as moderately dark. The HE-6 hits the hardest in the lower bass, whereas the Oppo has a noticeable drop in the very lowest registers. It doesn't hit hard, but what it does have is smooth and not boxy or muddy. Comparisons in the upper registers are kinda apples to oranges as the Hifiman's in stock tend to be too much, and I feel the Oppo not enough. In terms of technical prowess and midrange/treble resolution, I would slot the Oppo somewhere between the 500 and 560. - I have honestly never been a fan of the Audeze family, finding them uncomfortable and way too oomphy in the bottom and too inconsistent in the upper mids from one headphone to the next. That said, the Oppo bass doesn't even compete in terms of extension or impact. Where I find it better is in that midbass to midrange transition where it is more even handed compared to the LCD hammer. Moving upwards... hey if I ever heard two Audezes that sounded the same then I'd be able to offer a decent comparison, but I can't. - I find the Enigma and PM-1 are much closer in tonality, with the Enigma sounding cleaner but even darker than the Oppo. Both have a relaxed signature, but I can relax better with the Oppo which is significantly more comfortable. - My own modded pair are actually tuned fairly close to the PM-1 sound. Mine perhaps have a touch more bass and the advantage of being closed, but other than that they're ugly and ginormous on my head compared to the Oppo. Really, the longer I have the Oppo the more I resent the size and weight of everything else. - Holy cow these get uncomfortably loud from my little Sansa Clip+. That's practically unheard of for a planar magnetic headphone and starts entering into the realm of actual portable-ness (that carrying case is pretty sleek too btw). - A tiny bit recessed/spooky with female vocals, like in an empty chamber (good example: Eva Cassidy - Wade in the Water)... yet contrarily it doesn't sound like a big room. 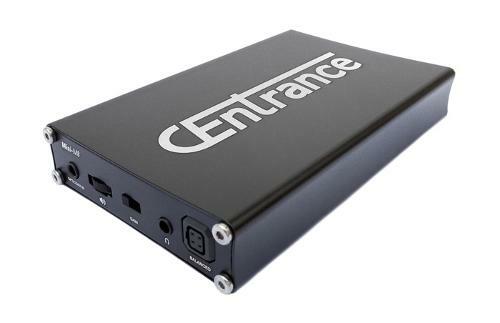 This lends to a soundstage that is only moderate in size; not cramped, just a nice intimate feel though with recordings that already have a lot of room reverb it might sound a bit off. - Those open cups are neat. They're really more semi-closed with light isolation, but you can wave your hands in front and there's no change in sound which means they're actually designed to minimize outside interference. Cool beans. - What's with the short 1/8” cable? Really needs another 6 or 12 inches. arnaud, aamefford, Stillhart and 1 other person like this. Nice review. Very helpful. I was wondering about your comments regarding the Audeze LCD-2. When you say their sound is inconsistent from one headphone to the next, do you mean this is the case when comparing the LCD-2 to the LCD-3 to the LCD-X, or the LCD-2.1 to the LCD2.2 to the LCD2.2F, or between different headphones that are both the same model and the same version? I'm considering an Audeze as my next headphone purchase, but if the sound I'll get is unpredictable that's a killer. I've heard variances all within the LCD2.2 line, and have had a couple friends return their Audeze's for repair/driver failure. Combining that with what I'm reading in the EL8 threads is not encouraging, haha. Thanks for the reply. not airy, they are not Bassy, they are not overly forward in the mids, but still great! First thing first, These are a loaner pair from OPPO. One of the most comfortable pair of headphones I ever worn, but they have a bit too much clamping at first, but after awhile it fades away. OPPO defiantly went all out when it comes to their fist pair of headphones, with the drivers, material, and creating a headphones that looks like you made an investment into the future. The stock ,~3 meter, nylon covered, cable fells really thick and durable. I also did really appreciate that the ear cups will go completely flat, for maximum comfort on the head on to fit in the caring case. Do not worry if you have big ears, the cups fit all around, but mine still do touch the driver wall. These headphones are not airy, they are not bassy, they are not overly forward in the mids, yet almost everything sounds great! The only thing I feel is missing is that it rolls of in the highs, making rock and roll and strings sound not as great, but still good. 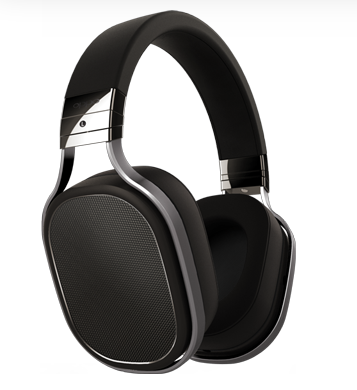 For being an open back Planar Magnetic, PM, they are not as open as I was expecting, from $1,099 MSRP pair of Headphones. Even though they feel more closed, I do feel like I am sitting right in front to an orchestra and I can feel where everyone is. Now when I first started listening to some of my favourite Albums, and songs, and podcast, I thought that these did not feel like $1,000, and I might pay half the cost. Then I listen to Pink Floyd's The Wall and The Dark Side of The Moon remastered, The Trial changed everything. Nothing I own personally can come even close to beating it. I learned what imaging and soundstage really matters in a song. I suggest that you listen to see what I am talking about. I did find them to be very easily drivable, never needing to put my volume past 1/4 on my MacBook Pro, and found no real advantage of an amp. so the included 3.5mm cord will work well, with any portable device. I did not have the pleasure to open the big display box, but I still got to open the Denim portable caring case, which was very nice! I still am not quite sure why people would decide to take their 1k OPEN headphones out of their house, but it's their money not mine. If you decide to take your mortgage payment on the road, the cables must removed every time you want to put them away. 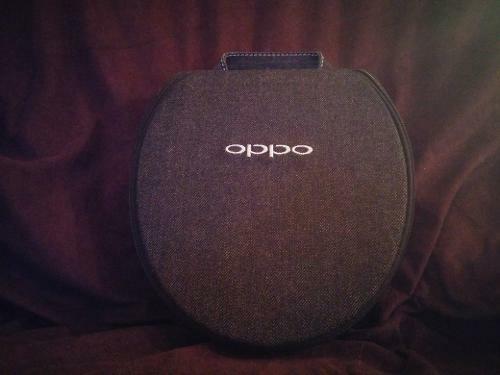 I do give OPPO kudos on adding an extra layer of security, and adding a velcro strap that wraps around the headband. So in case you forget to zip it up, it will take a lot more for your basic Audi A7 car payment to break. I know I emphases the cost of these, but I have never had a pair of cans that cost this much. If you can afford the OPPO PM-1s, and enjoy a headphones that are not bassy, and a rolled of treble, these are great. But if cost is a factor, the PM-2s cost $699, but uses more plastic and synthetic leather. I will be sad to see these go, but now I have the urge to save faster and upgrade my game a lot more, looking into another amp and better cans. I am really hoping that more companies do more loaner programs. I am really want Audeze to do one with their EL-8. But I really do Hope that my little review maybe pushed you in one way or another if you were on the fence of buying these! Oppo Digital is a name renown for their Blue-ray & DVD Players but recently branched out to the headphone world by releasing their very first planar magnetic headphones, the PM-1, and matching desktop DAC/Amp, HA-1. With the courtesy of Oppo Digital Japan, I received a demo set of PM-1 and HA-1 for just over two weeks. The PM-1 comes in an impressive wooden storage box and a suite of cable accessories for portable and home use, velour ear pads which offer an alternative signature, and a denim carrying case. Of all magnetic planar headphones I've tried, the PM-1 is the lightest and most comfortable to date. 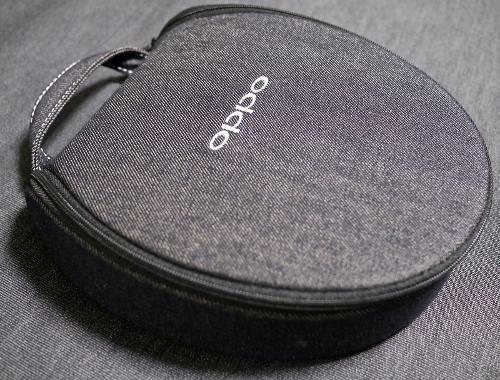 They are such a contrast from the current magnetic planar offerings which are large and heavy and it's as though Oppo is trying to make a point that magnetic planars can be compact, light, comfortable & portable - as such even a compact carrying case and 3.5mm cables come along with it. No longer does a planar magnetic have to stay at home. In addition the way the PM-1 is designed, it actually has a very low profile that hugs & stays close to the listener's cranium. As if it wasn't enough, velour pads were also offered in addition to its leather. Both are comfortable and glasses friendly, but the velours add a further softness to the comfort. However there's a little more to just comfort to the velour offering. Considering this is Oppo Digital's first attempt at headphones, the result is actually quite a decent effort. It has, as it's advertised, a natural and pleasant sound signature. At least to my ears the Oppo doesn't shout analytical nor clear cut surgically perfect reproduction of a mastered track, but instead more of a lush and musical presentation that is easy to like on an initial listen. It doesn't attempt to wow by having deep pounding bass, nor by having sparkling trebles, but instead focuses more on being calm and mellow with it's midbass and midrange focused signature, whilst the lower trebles seem to take a quick dip but comes back neutral enough to grab the listener's attention. There is a light touch of texturing and layering which is more easily heard with the balanced cable through its complimentary HA-1 DAC/Amp. The signature can be tailored by switching to the velour pads which seems to tone down the midbass and midrange to have an overall more neutral signature. The cost of doing so however seems to be a slight loss of depth imaging. Whist on the topic of depth and width perception, the PM-1 does have a more up-front close and personal presentation, and it's not shy about it. One does feel they're sitting close to the performing artists in a very private performance. Depending on the DAC/Amp combination that perception can be further tailored a little. As a package, I find that the two compliment each other into producing an easy listening sound that one can like very quickly. It does this so at a very reasonable price point too especially with most other magnetic planar headphones demanding higher quality DAC/Amps to help them shine. However, the sound signature to me isn't one for critique or articulate listening. At least for how I'd consider such a sound signature to be leveraged in my environment, it'll probably in a situation where I just want to kick back and listen in the background whilst I'm focused on other activities. Oppo Digital has given other magnetic planar headphone makers some food for thought by producing one that is lighter than it's competitors, and at a very reasonable price point - all packaged up in an impressive storage box with very practical and needed accessories. Meanwhile with their HA-1 DAC/Amp, they have packed it with full of features and as with the PM-1 headphones, priced it accordingly too. I can easily see how such a package would be suited for portable audiophiles who want to take the next step and dabble on a home magnetic planar desktop gear but not fully step away from portable audio at the same time. Having said that, (and rather unfairly) coming from my collection of Stax SR-009s/SR-007Mk1 setups to Fostex TH-900s & Alpha Dogs, I find the Oppo to be just merely pleasant sounding but lack the "wow" factor for my expectations. It makes a decent stepping stone but as for myself I see it to be an interim setup. However if I'm limited to $1100 to spend, I would prefer to spend it on this than on other open backed magnetic planars of similar pricing. Currawong and headphones1999 like this. Yeah, I can't wait for Oppo to start making closed-backs!! Thanks for the review Anak! Hi, thanks for reading the review. I got the information about it being an open back from the Oppo page which discribes it as an "circumaural, open back design". I heard this headphones recently. Did not make much of any impact on me other than it was sounding pleasant. Whatever the principle/design, it is how it sounds at the end of the day with music we like. While generally I can't afford the $1000+ caliber of headphone, I have been lucky enough to demo the Oppo PM-1 and Audeze LCD-3 for the past week at work. That might not be a fair comparison considering the price difference, but it is what it is. Obvious by my music selection, I'm into pop, rock, electronic, bright vocals, and trades between sections of high dynamics and super-density. This is only accentuated by the forwardness of my DAC/amp (which I'll admit isn't the best in SQ, but it's what I've got at work, and sounds decent, especially when you turn up the gain enough to get out of my perceived region of nonlinearities). My only comparison for this headphone is the Audeze LCD-3 which I've been listening to back-to-back on albums (mix of 320k and FLAC). The one thing that is immediately obvious when switching is the compressed soundstage of the PM-1s. I would put the soundstage width/breadth on the order of my Sennheiser HD 595. It's there, the headphone is making the attempt, but it still doesnt put me in a space as much as I'd expect on a $1000+ pair of cans. The positive side to this, is that all the mids are gathered and presented right in front of you, all while still being able to differentiate between sounds/instruments. I'll relate it to the forwardness of some of the lower end Grados (I have the 325i), but the sound is far more refined. The one exception comes from The Age of Adz, which features lots of live instruments. Everything was smeared together during dense sections of the recording. It got me thinking -- maybe the other recordings don't exhibit this smearing because they are carefully crafted/controlled electronic sounds that can be highly managed in mix & master? Bass is somewhat muddier than the LCD-3s, but still much clearer than my gamut of $200-400 range phones (K701, HD595, 325i, etc.). Extension is there, impact is there (moreso in the midbass than sub). Treble is pleasant. The LCD-3s sparkle quite a bit more (which can be good or annoying depending on your preference of music). The PM-1s are every so slightly subdued, I would imagine to prevent fatigue (which they do well). Overall I dig these cans (except the price). You get a nice wood case, a denim travel case, a shorter 3.5mm cable and a longer, sleeved 1/4" TRS cable for them. Though the clamping force initially felt a bit strong, I didn't feel more uncomfortable at the end of a 3-4 hour listening period than I did when I first put them on. The chamber for your ear is pretty shallow, but everything your ear is touching is very soft.